Please select a date of play to check availability on Boavista. 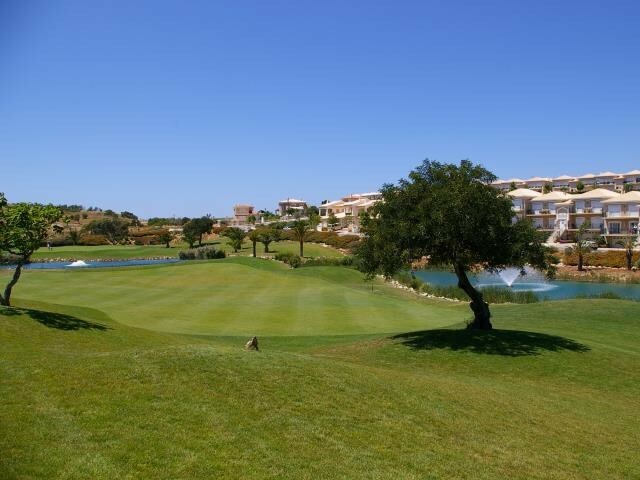 Boavista Golf Course offers two distinct sections of play providing a variety of attractive and interesting holes. From the first to the last putt on the 18th green it promises a sensible game for the average player. Umbrella pines, blossoming almond, fig, palm and olive trees line the rolling fairways, weaving their way between water hazards and carefully placed bunkers. The Boavista Course has spectacular scenery and views of the blue Atlantic Ocean, which is visible from most holes, all combine to make this course a delight for the golfer. Simply brilliant! The front nine was without doubt my favourite! The wind picking up did make the back nine much more of a challenge, particularly for a higher handicapper like me. The course has holes to challenge every area of your game. Not to mention some fantastic views out over the algae do as you go round! I was paired up with a member and his guest and they couldn't have been more friendly. Even stayed and shared a drink with them afterwards! Top notch day out and I can't wait to come back out with a group of friends for a week of golfing. One of the best courses we've played. Very fast greens, a good variety of interesting holes, good views and a nice clubhouse facility. There are a few holes with carries over a ravine or over water of around 150yds so may not be ideal for some. Course was immaculately presented and the staff were a joy to be looked after by. 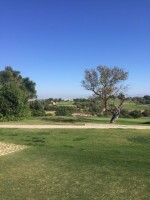 Round only took 4 hours which is pretty good in my experience of Algarve courses! 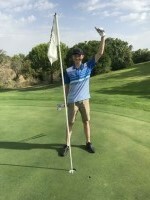 My son getting an ace on the 4th the obvious highlight but so many great holes. Der Platz ist momentan nicht in bestem Zustand. Grüns nicht gut. Liegt aber gerade an den Problemen mit der Bewässerung laut einem Mitglied das mit uns gespielt hat. Trotz allem sehr abwechslungsreich und spannend. This was our first time golfing in Portugal. We went to 18 hole rounds and thought that the course was perfect for a couple of 19 hcp golfers from Norway. To post a review, score or a notice on Boavista page's or to connect with other Boavista golfers, please log in to your account or sign up using Google or Facebook.